Nigel Short is thrilled to be conducting the BBC Singers for the first time on Sunday 9th April 2017. Featuring a programme which will include Victoria, Tallis, Bruckner, Ešenvalds and Pärt this concert will be the first in Tenebrae’s inaugural Holy Week Festival and will begin a week of workshops, concerts, Come&Sings and late-night liturgical events which will explore the significance of Holy Week. 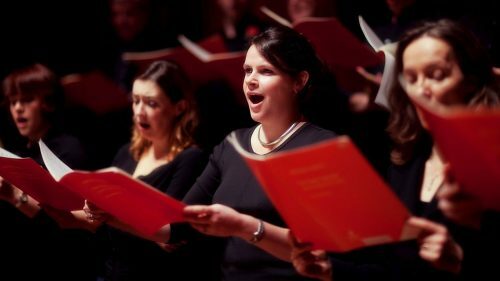 As a member of the BBC Singers in his earlier career, Nigel is looking forward to working with the world-renowned choir once again, but this time from the other side of the podium! Don’t miss out on this emotive and moving performance on Palm Sunday, book your tickets now.